Between 2012 and 2016, a total of 9,121 charges were filed in the 50 U.S. states and D.C. claiming some form of SOGI based discrimination, gradually increasing over the time period. Many of these charges were filed with state Fair Employment Practice Agencies (FEPAs) and forwarded on to the EEOC. 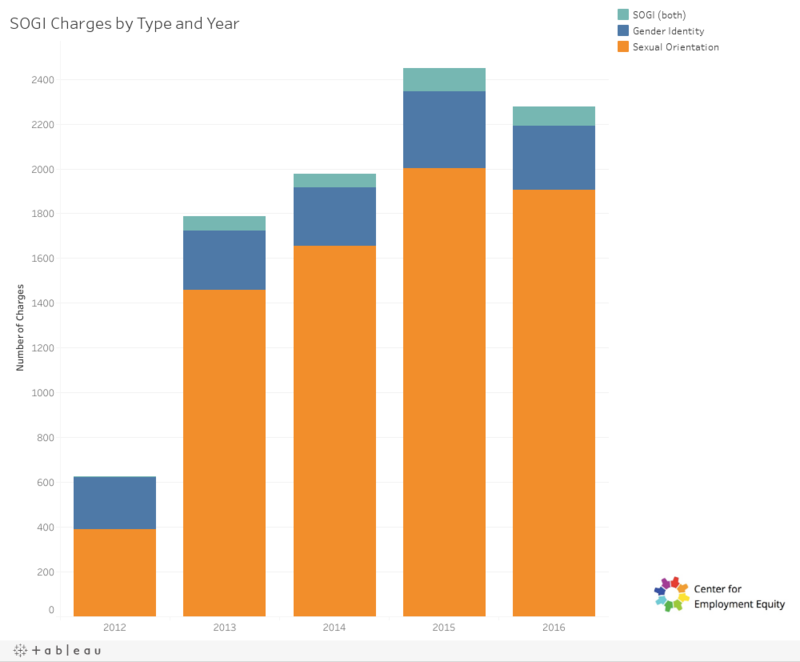 As reflected in the graph, there was a sharp increase in the number of charges filed in 2013, which was the first year when the EEOC began to formally accept SOGI charges. Some charges were filed earlier and may have had a SOGI charge added after the fact. Between 2012 and 2015, the number of charges filed annually increased dramatically, from 634 to 2,448, with a leveling off in 2016 when 2,275 charges were filed.